In April and May 1940, the Germans had deployed paratroopers and glider-borne troops in large-scale assaults on Denmark, Holland and Belgium, using them to seize and destroy key targets. By early June 1940, shortly after he had become Prime Minister, Winston Churchill issued one of his incisive memoranda, instructing that a force of 5000 trained allied paratroops be created forthwith. High-level meetings between the Air Ministry and War Office took place and by mid June it was decided to establish a ‘Central Landing School’ (CLS – later to be known as the Parachute Training School - PTS) at Manchester’s Ringway Airport. The choice of location was driven by the need to be far enough away from German raids and the intense fighter and bomber activity over the eastern counties. Ringway had been opened in June 1938, and the completion in March 1940 of large hangars and associated RAF buildings intended for use by 613 (City of Manchester) Squadron finally swung the siting decision. Squadron Leader Louis Strange DSO MC DFC was appointed as commanding officer and he arrived at Ringway on 21 June on the official formation of the CLS. He was joined by S/L Jack Benham as chief instructor. Major John Rock was to be the senior army officer at the School. Other RAF personnel arrived within the next few days and by 5 July, the first pilots were passed out on the unit’s sole Whitley converted bomber. Because of the urgency attached to operations, no time was allowed for the careful development of equipment and techniques. It was quickly realised that Ringway would be too busy to act as a landing ground for the trainee paratroopers and alternative locations were considered. Louis Strange had been a well-known pilot even before his World War One exploits, and had met Lord Egerton who was also an early aviator. Knowing of Maurice Egerton’s large secluded estate, strategically located just five miles south of Ringway, Strange therefore visited Tatton Park on 6 July, securing his lordship’s ready agreement to use the park, initially only as the main dropping zone. Strange recorded that Maurice ‘gave us every possible support, assistance and encouragement. We cut down his trees, we knocked down his gateposts, we landed all over his park. I cannot ever remember him having any complaints, he was always helpful and full of encouragement. He would suggest that such and such a tree ought to come down. To Lord Egerton’s co-operation in those days, I attribute a great deal of the early success of the PTS’. Later, the intensity of parachuting activities at Tatton Park expanded far beyond the level envisaged by both Strange and Maurice Egerton, but the latter’s full co-operation was always maintained. A 3600 ft emergency NE-SW landing strip was laid down which was used by Whitleys with an engine failure; also for receipt of Wellington bombers and other aircraft for storage during 1942/43. Smaller RAF types including Lysanders also landed deliberately when Lord Egerton was not watching! Strange, Rock and Benham found that they had one thing in common – none of them had parachuting experience. Up to this time, parachuting in the UK had been little more than a ‘flying circus stunt’. Some of those stunt men, including Harry Ward and J.E.M. Williams, were to quickly prove invaluable at Ringway as experienced and resourceful instructors. Harry Ward took a major part in the creation of military parachuting techniques, whilst John Kilkenny, who was to join the PTS in October 1941, was largely responsible for the evolution of the ground training system – ‘Kilkenny’s Circus’ – that is still in use today. The first training course started at Ringway on 9 July with 100 volunteers from ‘B’ and ‘C’ Troops of No.2 Commando under Lt. Colonel Jackson. The first dummy drops had been made over Ringway the previous day, followed by six dummies at Tatton Park on 11 July. The first live drops on the park were on 13 July, when RAF instructors made eight test jumps from the Whitley. Two were ‘pull-offs’ from a small open platform that had been fitted in place of the aircraft’s rear gun turret. The other six drops were from an aperture in the fuselage floor. The pull-off method required the parachutist to face into the aircraft’s slipstream and then release his parachute, which immediately tore him from the aircraft. The slipstream caused somersaulting and occasionally the feared ‘candle’, when the parachute failed to open properly and pull-offs were soon abandoned, with jumping through the ‘Whitley Hole’ becoming the norm. After experimentation, ground training sequences were developed in which the trainees jumped through mock ‘Whitley Holes’ onto mattresses in the PTS hangar at Ringway. The men were also attached to pulleys suspended from the girder roof and descended at increasing speeds, learning to fall over correctly on hitting the floor, in order to lessen the impact. 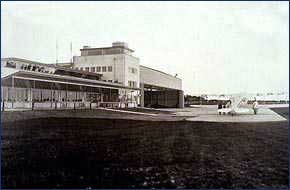 Later in the war, a high steelwork tower with horizontal arms was erected at Ringway. The trainees were attached to a parachute held open by a tubular ring around its perimeter and were then lowered at realistic speeds. The first live drops of trainees were made at Tatton Park on 14 July through the floor aperture of a converted Whitley bomber. LAC Oakes was first, followed by six others, with just one injury. By 25 July, 135 drops had been made, when Driver R.Evans RASC, of No.2 Commando plummeted to the ground as his parachute failed to open properly. This was the first fatality to be sustained. At that time, and for most of the war period, reserve parachutes were not carried. Within hours, a signal was received from the Air Ministry ordering an immediate halt to training. Next day, senior officers visited Ringway and it was agreed that tests were needed with modified parachutes, aircraft fittings and other equipment. 500 tests with dummies were to be made before resuming live drops. By 8 August, Strange and Benham were able to make the first landings at Tatton Park using the new Quilter ‘statichutes’, which were attached to a rail inside the Whitley’s fuselage and the strop automatically pulled open the canopy as the men dropped. A Bristol Bombay transport aircraft with side doors was also used for a period, the RAF instructors finding this a much better training prospect – but the ‘Men at the Ministry’ could not spare any of these aircraft for routine training. Live drops by trainees therefore recommenced on 15 August using the Whitleys. A mysterious ‘Mr Y’ made a ‘special instructional descent’ on Tatton Park at 0630 on 1 September. We may assume that this was the first of several thousand men and about 100 women special agents from the Special Operations Executive who learned to parachute here. The agents were kept separate from the regular paras, using three requisitioned large secluded houses in Bowdon, Timperley and Wilmslow. Their training was also segregated to maintain secrecy and anonymity. The agent’s course was kept to five days with four live jumps. Odette Churchill, Violette Szabo, Evelyn Waugh and agents from many countries trained here. Some made special requests such as to be dropped in Lord Egerton’s trees in order to simulate their planned clandestine arrival in wooded country in occupied Europe. Their missions were extremely risky, and many were captured and shot as spies, including Violette. A series of VIP’s began to visit Ringway and Tatton Park to see the parachuting and gliding operations, to which so much importance had been attached. On 26 September, the Duke of Kent saw a demonstration tow of two gliders and four para drops. Marshall of the Royal Air Force Sir Edward Ellington came on 10 December. By 13 December, a larger body of trained men and their equipment was available for inspection by Field Marshall Sir John Dill and General Sir Robert Finlayson. With their staffs, they saw an exercise in which two Whitleys each dropped eight men over Tatton Park and five single-seat gliders landed there within a radius of 200 yards – each assumed to carry eight troops. The ‘invaders captured an ammunition dump’ concealed in the woods. A section of Free French personnel arrived at Ringway on 13 February 1941 and were inspected by General De Gaulle on 3 March. Winston Churchill, initiator of the allied Airborne Forces, came to inspect progress personally on 26 April 1941, accompanied by Mrs Churchill, US Ambassador Averill Harriman, General Ismay and Air Marshall Sir Arthur Barratt. A combined exercise by the CLE and PTS involved a formation of six Whitleys dropping forty paras and their equipment on Ringway, towing and formation landing of five single-seat gliders and a demonstration by the newly delivered eight-seat Hotspur troop-carrying glider. Churchill’s inspection of paras included a section of Free French personnel. The Prime Minister addressed the PTS members and he was said to be reasonably satisfied with the progress made in difficult circumstances. Over the next four years, British Army parachutists trained by the PTS at Ringway and Tatton Park, were joined by Marine Commandos and RAF personnel. Many overseas troops were also trained including American, Belgian, Canadian, Czech, Dutch, Norwegian and Polish. The first night drops of trainees by the PTS were made in moonlight on 14 January 1941 at Ringway, using glim lamps for two sticks, each of eight men, from Whitleys. On 22 January Sgt Dennis landed in a frozen pond just outside the Tatton Park Drop Zone (DZ) and was drowned in the mud. By 13 March, 3890 live drops had been made from the Whitleys involving four fatalities and twenty-five broken limbs. To increase the throughput of trainees, and to improve safety, use began at Tatton Park of large modified HZA hydrogen-filled barrage balloons of 42,000 cubic feet capacity. Three were eventually used, the first being named ‘Bessie’, who twice ‘escaped’ in strong winds, once reaching Coventry before recapture. A cage was slung beneath the balloon, with a ‘Whitley hole’ in its floor. The balloon was tethered by a cable to a winch vehicle, which steadily allowed the ‘blimp’ to rise to 800 feet. Instructors made the first test jumps on 8 April 1941. During routine training an RAF instructor accompanied four or five trainees in the cage, and shouted orders to jump through the hole. One balloon could drop three times the number of trainees in an hour that a Whitley could, and the absence of a slipstream tended to reduce the snagging of para lines, which was a major cause of injuries and fatalities. However, many trainees disliked the eerie silence as the Balloon rose and as they jumped, preferring the deafening noise of the Whitley’s engines. The story is told of one reluctant trainee who found himself hanging by both hands from the cage, afraid to let go. ‘Never mind’ said the instructor, soothingly, ‘just give me your hands and I’ll pull you in again’. The recruit offered his hands and, of course, found himself making a descent. The training routine settled at two or three jumps from Bessie and Co, followed by another two or three jumps through the Whitley’s hole over Tatton Park. During December 1941, the three standard courses for the 1st Parachute Brigade showed the following average results: Intake 257 men; Qualified 237; Injured 13; Sick 5; Refusals 2; 1750 jumps from aircraft and balloons on each course. The injury rate of 0.7% per jump was said to be acceptable and should be the same on active operations in good weather. High-ranking visitors continued to arrive including General Sosabowski, commander of the Polish Parachute Brigade. The first deployment of Allied paratroops in action was on 10 February 1941 when the Apulia water viaduct over the River Sele near Tragino in Southern Italy was attacked and damaged. ‘Operation Colossus’ began when eight Whitley bombers of 78 Squadron arrived at Ringway for parachute modifications. 38 men were chosen from the many volunteers for the chance of live operations. Rigorous training was needed for both aircrews and troops as the drops would be made at night from 400 ft in a valley with aircraft flying below surrounding hilltops. A large-scale model of the aqueduct was therefore built in Tatton Park. Six Whitleys and the assault party took part in a special demolition exercise on 1 February in the park before leaving for Malta. Seven Whitleys left for the target on the 10th and the six aircraft carrying 35 men of No.11 SAS completed their drops by 2330. Some troops dropped within 50 yards of the target but others were 1200 yards away, including key engineers. After charges had been laid and exploded, damaging an aqueduct pier and causing water to flood the ravine, the party set out to trek 50 miles to the river’s mouth, where they were to be picked up on the 16th by submarine HMS Triumph. The men were captured on the 15th, ten miles from the coast. 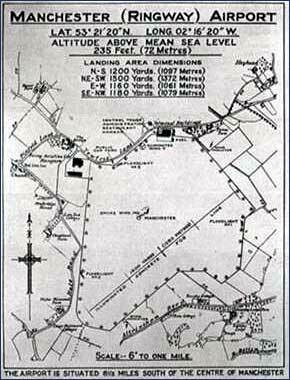 This was the only active operation actually to pass through Ringway and Tatton Park. Military Medal. Bruneval was the Parachute Regiment’s first battle honour and the raid’s success directly led to the full expansion of British Airborne Forces from 1942. Squadron Leader (later Group Captain) Maurice Newnham OBE DFC took over command of the PTS in July 1941, remaining until September 1945. He had been a World War One pilot, but had never used a parachute. Despite his 14 stone weight, he insisted in going through the full training course, so that he could lead by example. It became routine for Newnham and other senior PTS officers to jump into the deep cold waters of Rostherne Mere. Trainees were ferried from Ringway to Tatton Park by Manchester Corporation double-deck buses for their jumps from the balloons. Often the buses returned empty, as the Paras, together with those dropping from the Whitleys, were frequently required to march the seven miles back to Ringway as part of their physical training. By February 1943, 92,000 jumps had been made, almost all over Tatton Park. 26 fatalities had occurred, including two ‘Specials’, with many of the deaths having resulted from twisted and tangled rigging lines. Improved equipment and training later reduced the fatality and injury rate. During the course of the war, only one death was attributed to faulty packing by the WAAF parachute packers at Ringway. These girls worked long shifts, round the clock. ‘Remember, a man’s life depends on every parachute you pack’, said the admonitory sign hanging above them. Theirs was an incredible achievement in pressurised circumstances. 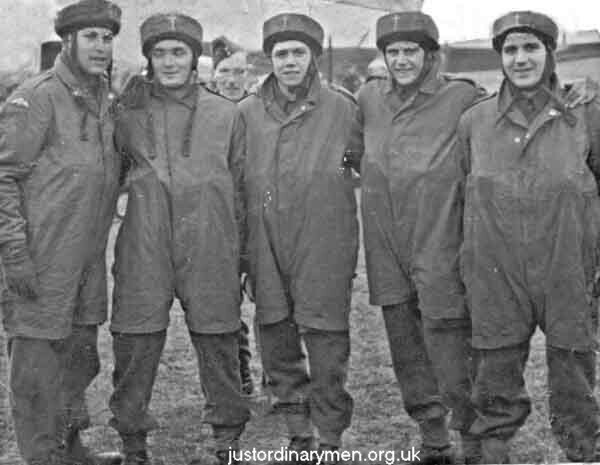 One Padre confessed to Newnham that ‘for 32 years his whole trust had been in God, but that for five seconds – until his parachute opened – his confidence was transferred to a young WAAF parachute packer’. Mrs Smalley and her cheery band of local ladies helped greatly to sustain morale by operating the YMCA tea van at Tatton Park in all weathers. With increasing numbers of trainees, a Nissen hut was also later provided, and it was alleged that Newnham would sometimes literally ‘drop in for a cup of tea’. Douglas Dakota transport aircraft were delivered from the USA to the PTS from January 1944. These could carry twenty fully equipped paras, compared with just ten in the Whitley, thus greatly increasing the training rate. The Dakota’s spacious fuselage and large side door facilitated movement inside the aircraft and allowed faster exiting, bringing the men closer together as they reached their landing objective. Modified larger cages with a side exit were fitted to ‘Bessie’ and her friends to prepare trainees for jumps from the Dakotas. However, the Whitleys continued for a year alongside the Dakotas. On 23 February a Whitley taking off at night with Paras for Tatton Park collided with another, and the former was thrown in the air, crashing in flames 200 yards from a hangar and the other had a wing torn off. Luckily all personnel escaped relatively unharmed. In preparation for the planned large scale drops in action, many Paras returned to the PTS in early 1944 for refresher courses, in addition to the increased normal intake. The Ringway and Tatton Park-trained Paras finally saw action on a large scale on 6 June 1944, when thousands jumped over the Normandy beachhead from a huge fleet of Dakotas in the early hours of D-Day. Other airborne troops were towed in hundreds of gliders, using techniques developed at Ringway. The men captured key objectives including bridges and silenced German gun emplacements to help the sea borne forces land on the beaches. Their rigorous training and bravery at last paid immeasurable dividends. The British 2nd Parachute Brigade joined with US Paras in the airborne invasion of the South of France in August 1944. The 1st Parachute Brigade had been held in reserve and it led the mass drop on Arnhem in September 1944, supplemented by the 1st Polish Parachute Brigade and other units. Again, further airborne forces landed in many gliders. The Dakotas came back day after day with supplies, piloted by such men as Fl Lt David Lord of 271 Squadron (who received a posthumous Victoria Cross for his bravery) and Jimmy Edwards – later a well known radio comedian. On the ground, the Parachute Regiment’s two Victoria Crosses awarded during WW2 were to Lt. Lionel Queripel and Lt. John Grayburn. The first Airborne Division had been asked to hold out by the Arnhem bridges for two days while allied forces came up from the west. In the event, they held out for nine days, without the planned relief, and most of the survivors were captured. The last major action by paras in WW2 was in support of the successful Rhine Crossing on 24 March 1945. ‘Operation Varsity’ involved nearly 1700 aircraft and 1350 gliders, carrying more than 21,000 Allied and US troops over the Rhine. They took their key objectives and the 2nd Army was streaming over the river by late afternoon. No airborne operation since then has ever involved anything like the same numbers. The war in Europe was won six weeks later. After VJ Day on 15 August, the numbers of trainees gradually reduced. An RAF Day display was given to the public at Ringway on 27 September 1945, giving local people their first and only chance to learn of the secret wartime activities that had taken place at Ringway and Tatton Park. 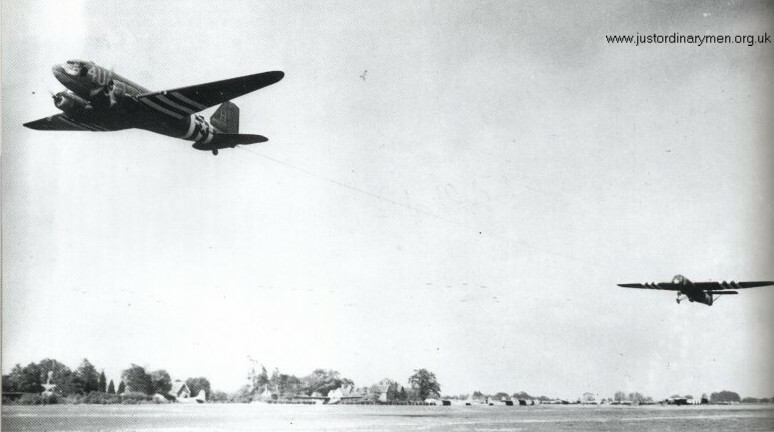 Para drops were made from Dakotas and the balloons. The last drops from Dakotas were on 28 January 1946. Dismantling of equipment began on 14 March and the main PTS party departed from Heald Green station on 28 March en route to its new base at Upper Heyford, Oxfordshire. The PTS moved to Abingdon in 1953 and to its present home at Brize Norton, Oxfordshire in 1975. Today’s Paras jump from the rear ramps of the RAF’s four-engined Lockheed Hercules aircraft. The Parachute Regiment saw service in the Falklands in 1982, receiving two further posthumous VC’s, and in both Gulf Wars. The ‘Red Berets’ continue their tradition of bravery and excellence to the present day. Veteran paras and women packers who trained and worked at Ringway and Tatton Park 1940-1945 still meet annually at the airport on Armistice Day and other important occasions. They include several men who dropped on Normandy on D-Day. A large limestone memorial to the men and women of the Parachute Training School was erected on the edge of Tatton Park’s dropping zone in 1976. 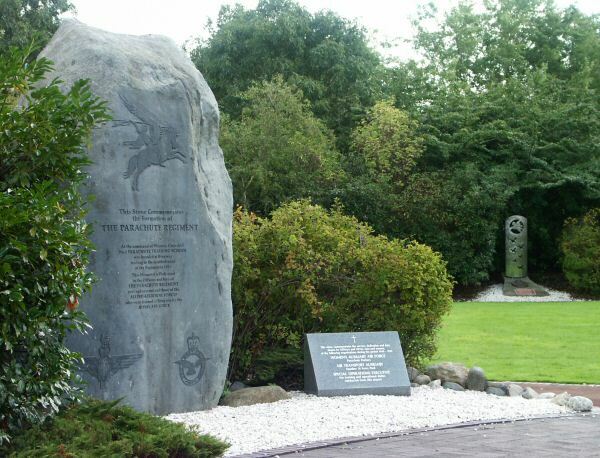 Four memorials can be seen in the garden opposite Olympic House at Ringway. These are to: The Parachute Regiment and Airborne Forces; Polish Airborne Forces; Glider Pilot Regiment; Women’s Auxiliary Air Force, Air Transport Auxiliary and the Special Operations Executive. The debt that we all owe to those brave people has therefore not been forgotten.